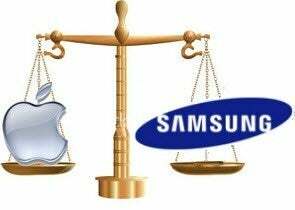 Patent litigation has become standard business practice in the tech world, and no rivalry demonstrates that better than Apple and Samsung. The ongoing trial between the two smartphone and tablet leaders is the poster child for all that is wrong with tech patents. There’s a term used for companies that buy up patents for the sole purpose of seeking out companies to sue for infringement--they’re called patent trolls. There are also companies that are awarded, and/or acquire patents and subsequently wield those patents against other companies to either stifle competition or extort money in the form of royalties. Did Samsung "copy" Apple? Or, did Apple simply "influence" Samsung design? Legitimate tech companies like Apple, Samsung, Google, Microsoft, etc. could help stop the patent litigation insanity by simply exercising some common decency. Don’t apply for patents for obvious or silly features, and only use patent litigation as a tool of last resort for patents that are obviously unique, and egregiously infringed upon. Suing each other over stupid, silly patents is a waste of resources for the companies involved, and a waste of time for the courts. The only ones who win in most patent infringement trials are the lawyers--and they generally come out ahead whether they win or lose the case itself. To many, the patents being tossed about by Apple and Samsung like cannon fodder are simply ludicrous. Apple has a patent for unlocking the smartphone by swiping? That’s ridiculous. It’s obvious. How else would you navigate a touchscreen interface? There is a difference however, between whether or not a concept or technology should be patent-worthy, and whether or not an existing patent should be enforceable. Patent offices are overworked and understaffed, and lack the resources to exhaustively research every patent, so it’s possible to invalidate a patent that has already been issued--as a British judge recently did with the swipe to unlock patent. However, once it’s verified as valid, the patent is legally enforceable no matter how silly it may seem. And, the court--whether a judge or jury--has to consider the merits of whether or not the patent is being infringed without bias for the fact that the patent shouldn’t exist in the first place. While the companies themselves are to blame for using patents as weapons, and resorting to patent litigation as a competitive business practice, it’s the patent system itself that’s broken. Many of the patents issued simply shouldn’t exist. Legislation has been introduced to try and curb patent trolling. The Saving High-Tech Innovators from Egregious Legal Disputes (SHIELD) Act would force patent litigation plaintiffs to pay the legal costs of the defendant if they lose the case. It’s a step in the right direction because it at least ensures that the plaintiff has some skin in the game, and that patent trolls suffer some consequences for frivolous patent suits. That isn’t enough, though. Imposing penalties on the back end is like putting a bandage on a cut while you’re still being stabbed. We need a solution on the front end of the patent system to be more discriminating and do a better job of only issuing worthwhile patents in the first place.